Are you on macos 10.14 too? Wonder why they both crash at Adams but not on yours. There's a difference between your systems. My Mac is prehistoric but that shouldn't really cause an issue. I've been too busy using the machine to let the latest OS update install and restart it, however. Updated my repo accordingly (just fetch a new GenusPrime.bmx if you want). Uploaded v1.0.2 with fixes. Adams version for Mac should still work - as it did the "performance hungry" fix (creating a copy of a map containing all currently existing ships/missiles each time). Thanks for Xerra pointing me to the bug regarding the level end check/playerstates. I really like the concept for this and I'm going to use it as a test bed for my next project. Feel free to use some of the code / logic (it is Open Source you can have more than a peek). Drop me a line if you want to tinker in a collaborative way. For selection and so on: all the entities on screen have an "area" which reflects their map position and dimension. This area-rectangle can either get converted to screenspace - or you just convert your input into map-space. Then a simple "entity.area.contains(mousePos) then SelectEntity(entity)" is enough to that. Using group select - dunno if this is the best approach - I just used a check whether a groupSelectionRect is created (done on "button down" with x,y at mouse pos and w,h = 0,0) and if then button is no longer down you use the new mouse position for rectangle's width/height. But I think you know all of this already as your other games hat similar interaction mechanics. What might be of interest for (...to think about - not to look at) is to make sure that cities/planets/castles/... "bases" are having a minimum distance to their neighbours - and to avoid clamping too much (or... to allow/enforce clamping/grouping). I prefer dynamically created worlds over hand crafted ones - as this allows for endless games (I use defined seeds - maybe it would have been a good idea to add a "seed input widget" for the random/skirmish games to more easily replay stuff). First game idea was btw without the complexity of upgrades - just "grow and send" but then I saw that other games used a similar approach which is why I wanted to be at least a bit different. A pity that this means to increase gameplay complexity (which isn't what all players like). PS: I protoyped with DrawOval too. Some stuff like mouse cursor and the animated selection rectangle are even still created using DrawRect chains. Sooner or later the "graphician" in me wanted to tinker a bit so you will do for sure too. Does size of the objects influence "refill speed" (try to describe it in neutral words)? The range indicator seems to say: you can only target stuff in range - so you need to "chain" your movements (had this in mind too but ended up with a simple planetary defense). If so: think about what happens if eg "20 units" reach one of the same owners other circle which already has 20 of 30 "unit slots" filled. Cap increased or something send back or ... ? Next to the suggestions I now also deselect a planet if you loose owner ship but only íf you selected multiple planets as a single planet selection might be intentional. Will try the map drag later on and update binaries to test the new sound engine too (no more rtAudio for streamed ogg - if it works at least ;-)). Now kindergarten asked me to help building up a skid/slide so real life "world building" is asking for my attention. hint - middle mouse is not a brilliant support choice as many people don't have mice with 3 buttons or even 2 buttons. Yes, these people with 1button mices would not be able to use the middle mouse buttons nor would they be able to use right click. For them you need to provide eg. "D" and "F" keys to emulate the buttons (D and F because of their positions for a resting-hand-on-keyboard - and F having the "marker" on it for 10 finger typing). 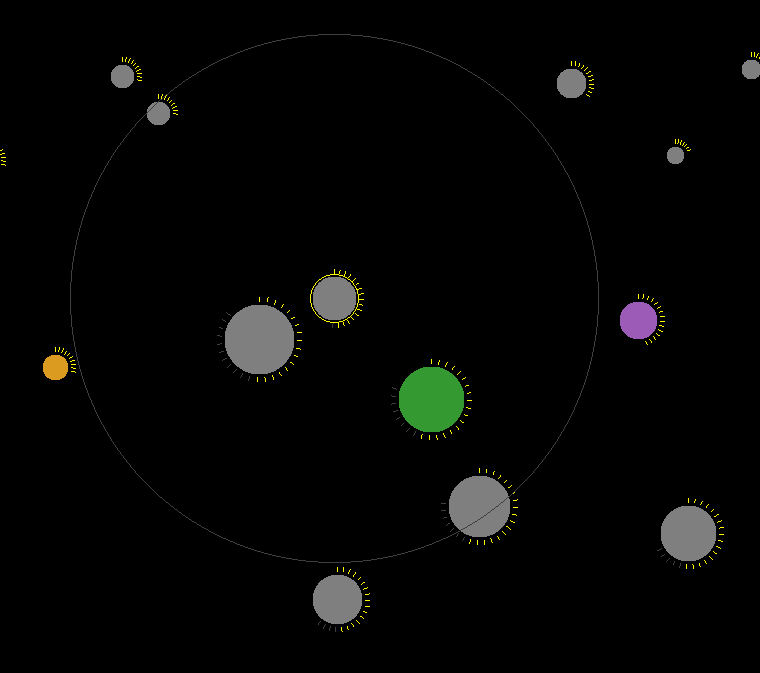 If you have your mouse not over a single planet you most probably want to mouse-area-select. Also it might look a bit odd if you did not hit the targeted planet perfectly and now the scrolling starts (for the moment you "hit" the mouse - aka "mouse down" until you "clicked" which means you released the mouse button). I could add the option (for 1-button-mouse-users) to handle double click: double click then "scrolls to". Aside of that I could also just add a simple cursor-key-movement to get rid of all that extra handling for 1-button-mouse-users (except for "right click"). As said above one should not forget: map dragging, mouse map scrolling, ... this is a convenience-extra-feature which is reachable with mouse-movement (sides) and LMB-click (minimap) already. Will have to fight a little bug in my freeaudio-soundmanager as it bugs refilling stream buffers on the second crossfade to a track (a-b-a) think the TChannels behave not exactly as they should with static buffers or an even simpler but yet hidden bug. Was not able to check the audio output of the Mac but ...heyya. So for all 3 OS this means the download here (v1.0.4) now does not use "maxmod2/rtAudio" for playback of the music but the BlitzMax-provided FreeAudio and a little custom audiostream solution by me. It might work - or might fail, dunno. Maybe that even makes it work on Adam's Mac OS but I heavily doubt it. Would be nice if some of you (Xerra?) could give it a little test (sound playback and new control support). If your feedback is positive I would upload it to itch.io (maybe it finds some new players then).